Be the first to review this 2019 Honda Ridgeline. The 2019 Honda Ridgeline is the most car-like of trucks. It’s built off the bones of the Honda Pilot; it has a crossover’s car-like unibody chassis, not a body-on-frame like other trucks. It’s lower than other half-ton pickups and less rugged. It can’t compete in the areas of towing and off-road capability, but it doesn’t try to. The payoff is level of comfort and refinement that traditional pickups can’t match. It has a more controlled ride, and corners with more agility. Rivals such as the Chevy Colorado and GMC Canyon are less civilized, and with their truck platforms they’re heavier and stiffer. In terms of ride quality, quiet operation, and general comfort, the 2019 Ridgeline is tops. It comes as crew cab only, no regular or extended cabs available. There are only a few small updates for 2019, the third year of its second generation. Unlike other 2019 Honda models, advanced safety equipment such as automatic emergency braking has not become standard; on the Ridgeline, only the top models have it. 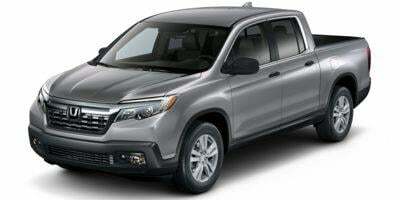 The Ridgeline is front-wheel drive with available all-wheel drive, and is powered by Honda’s solid 3.5-liter V-6 engine making 280 horsepower, mated to a smooth 6-speed automatic. It can accelerate from 0 to 60 mph in about seven seconds, which is quicker than some trucks even with big V-8s. Even though the Ridgeline’s maximum towing capacity is just 5,000 pounds - 2,000 pounds less than the Chevy Colorado - its payload of 1,569 pounds is competitive for the class. The Ridgeline is 210 inches long, on a wheelbase of 125.3 inches. The bed is shorter but not narrower than other trucks, at 64 inches long and 50 inches wide between the wheel wells. However there is an optional bed extender that can equalize things, and Honda compensates for the limited length in clever ways. There’s an available swinging tailgate hinged at the side, to allow various loading options, eight tie-downs, and a dry storage pocket. Accessory options include six-speaker audio to 400-watt power inverters that can power a big-screen TV. Under the bed there’s a trunk that can act as a cooler, and it’s big enough to hold a golf bag. With a tonneau cover and locking tailgate, the entire enclosed bed can be locked. Gas mileage is good for a truck but not great, at 19 mpg city, 26 highway, and 22 combined with front-wheel drive, while all-wheel drive steals 1 mpg across the board. Honda has not announced plans to bring a hybrid powertrain to the Ridgeline, although it would seem doable, as it shares much of its underpinnings with Acura’s MDX that offers a hybrid. Others in the class, like Chevy’s Colorado, offer higher-mileage alternative powertrains such as a turbodiesel. The Ridgeline gets a five-star overall rating from the NHTSA this year, with five stars in all but the rollover test, where it earns four stars. From the IIHS, the 2018 model grabbed the Top Safety Pick award, thanks to top "Good" ratings in all crash tests, a "Superior" rating for its front crash prevention system, and a "Good" rating for its headlights. The 2019 Ridgeline comes in RT, Sport, RTL, RTL-T, RTL-E, and Black Edition, ranging in price from less than $30,000 to more than $43,000. Standard equipment in the RT includes keyless ignition, Bluetooth connectivity, a 5.0-inch display for audio, USB audio, and a fold-up rear seat. No Apple CarPlay and Android Auto compatibility is offered on this trim level. Range-topping Black Edition Ridgelines come equipped with blacked-out exterior and interior trim, special leather seating, 18-inch black alloy wheels, red LED ambient lighting, navigation, Apple CarPlay and Android Auto compatibility, truck bed audio, automatic emergency braking, a power moonroof, and a premium 540-watt audio system. All-wheel drive is not available in base RT trim. It’s an option on other models, and becomes standard with the RTL-E. The RTL probably offers the most value, even without active safety features. It has leather upholstery, a quieter cabin, power-adjustable heated front seats, and a leather-wrapped steering wheel for $35,865, including destination. Not surprisingly, given its mission, the 2019 Ridgeline looks more like a car than other trucks. And that’s after a redesign in 2017, because the first generation was too radical. The current Ridgeline has a grille that’s recognizably Honda, at least. Honda says the Ridgeline has the roomiest cabin among all mid-size pickups. Like the Pilot, the cabin is wide, with plenty of room for up to five adults. It’s quiet and comfortable on long trips, even when fully loaded. The flat front seats offer a relaxed fit and good adjustment, better with power options. Rear passenger comfort is quite a lot better than rivals like the Colorado or Toyota Tacoma, mostly due to so much head and foot room. The shape of the rear doors allows easy entry and exit. The rear seat is also versatile, folding up against the back wall to allow for larger things to be carried more securely inside the cabin. The interior materials are high quality, while the sound systems range from good to excellent. The controls that are actual knobs are attractive, straightforward and intuitive, no manual required to figure them out. The touch controls on the big screen at the center of the dash have large icons, but they aren’t so simple, including, maddeningly, the audio adjustment, an old Honda challenge. That said, the navigation system is fairly easy to function, and the infotainment and connectivity options, which now include Apple CarPlay and Android Auto compatibility, are contemporary. Honda’s smooth and proven 3.5-liter V-6 makes 280 horsepower and 262 pound-feet of torque. The engine makes a nice muscular sound under heavy throttle, while still being smooth across the power band. That 0-60 mph time of seven seconds is as quick as any Ridgeline buyer will likely need. But its weight of about 4,500 pounds is a lot for 280 horsepower to pull. It can be challenged when towing its maximum of 5,000 pounds with all-wheel drive. Without low-range gearing, the Ridgeline is less an off-road performer than a weekend toy-tower. Still, all-wheel drive offers plenty of traction, while electronic drive modes help the Ridgeline perform well in snow, mud, and sand. These settings change the transmission shift pattern to hold lower gears, move power to rear wheels, and soften throttle response. Nearly eight inches of ground clearance is acceptable for a pickup of this size, but the rear control arms leave only about six inches of travel. The unibody structure feels exceptionally solid, and the suspension is a little firmer than on the Pilot in order to handle a truck’s payloads, but that firmness doesn’t diminish the ride. The Ridgeline is composed and compliant on all surfaces from bumpy paved to graded gravel. It’s hard to find flaws in the driving dynamics. The steering could have a bit more weight and provide more feedback, but the same could be said of any contemporary truck with electric power steering. All-wheel drive Ridgelines include torque vectoring at the rear axle, lending stability in corners, especially when traction is reduced by the road surface. Available safety features include adaptive cruise control, automatic emergency braking, lane-departure warnings and active lane control. The lane-departure feature is a little too eager to assert itself, jiggling the steering wheel when the truck’s trajectory even slightly heads toward a painted line at the edge of the road. The 2019 Honda Ridgeline is the standard in pickup truck refinement, if not ruggedness. It’s a creative blend of engineering and imagination, adept at light truck work or daily transportation. The cabin is roomiest in the class, and the bed can do tricks that other trucks can only envy.